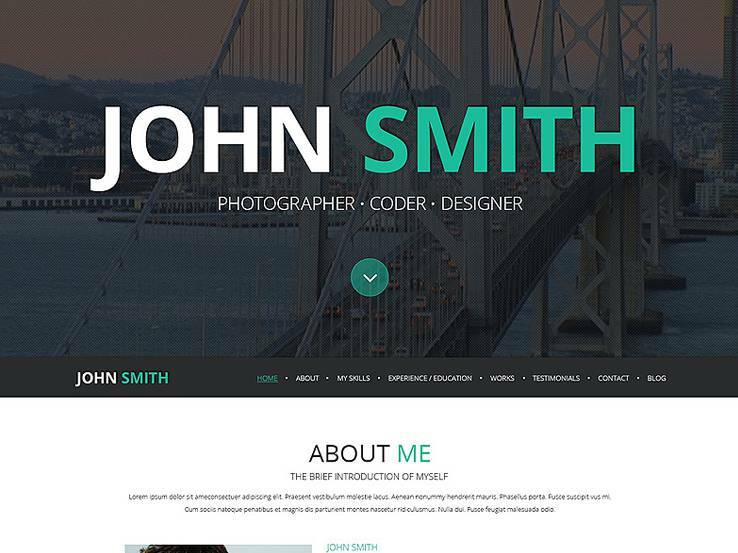 This roundup contains the very best WordPress resume themes and CV templates for you to choose from when preparing your online resume or portfolio. It’s important that the theme you choose matches both your own personality and the professional field you are working to enter. With this in mind, I’ve included a wide range of themes with a broad spectrum of aesthetic styles. I’ve also prioritized themes with high-quality feature sets that are specific to the resume/portfolio application. Look for unique features like visual timelines to highlight your educational and professional achievements, or well-crafted portfolios to showcase the very best of your work. It goes without saying that the link to your online resume should be included with every job application you send. However, you should also link to it from your social media profiles and consider including it as your email signature to promote it with every email you send. Don’t hesitate to add a blog so you can showcase your industry knowledge and attract more traffic to your website by publishing quality content. Keep reading for a list of best resume themes available on the market to make your resume stand out. And if we’ve missed one of your favorites, please let us know all about it in the comments. If you’ve fallen in love with the full-screen and one-page layout aesthetic, you’re going to really love this theme. It is fully responsive through the use of the latest Bootstrap 3.x framework and will look great on both small devices and large monitors. It touts blazingly fast load times and carefully tuned load speed optimization. Looking at the demo, I find I’m somewhat less attracted to the dark textured background rows in the one-page layout, but this is an entirely subjective opinion. On the other hand, I love the stark typography on a white field that you’ll see in the portfolio and blog section, and the use of dark thumbnail images to create lots of contrast worked exceedingly well in this instance. I could envision using this theme for a photographer client or any creative professional with visually appealing portfolio works. If you’re on the market for a truly modern and unique CV theme, this may be just the theme you’re looking for. 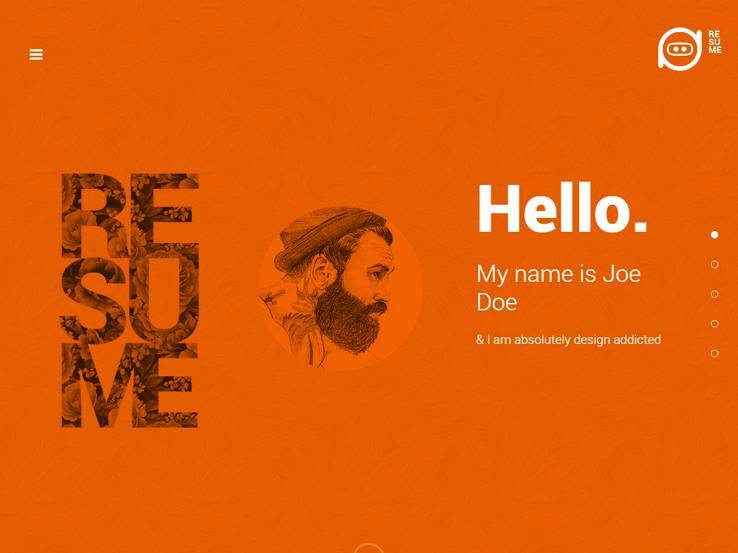 The Designer Resume theme from Template Monster is a very attractive one-page-style theme with some unique features that set it apart from the competition. The design is modern and clean. It adheres to the modular row-based layout that’s become popular with most one-page websites over the last year. The demo has some pretty stark colors, but they can easily be customized to make it a pretty elegant template. One particularly unique feature this theme offers is a vertical timeline that allows you to plot the major events in your professional history. You can use this to draw attention to important educational and employment milestones that make your application more competitive. Additionally, you’ll be able to set up an attractive masonry-style portfolio with AJAX-sorted category tags at the top of the row. 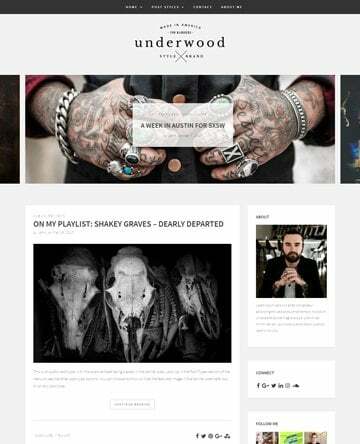 The Creative CV WordPress theme is another great option from the tireless team over at Template Monster. Like many others on this list, it’s developed as a one-page theme using a modular row-based layout with strongly contrasting colors to create a high impact design. As with some other themes in this genre from Template Monster, you’ll find visual timelines you can populate with important milestones like education history or work experience. You’ll also find a section you can populate with skills and give each skill a percentage to display. The theme is fully responsive and is built on the popular Bootstrap framework, ensuring that you’re getting a stable base to manage responsiveness should you decide to continue to develop on top of this theme. All Template Monster themes are coded using compliant HTML5 and use the latest coding standards. The Persuasive Portfolio theme is a lovely example of a one-page CV/resume, portfolio theme for WordPress that would be perfect for any professional. It has a soft feel with dim neutral colors and soothing transparencies. The flowing transitions that activate as you scroll down the page or navigate across the fixed at the top menu bar are sure to capture the attention of potential employers. The theme is fully responsive and is coded on the popular Bootstrap framework. It supports both solid background colors and tiled image backgrounds for it’s frontpage rows and has an attractive use of open source fonts like the Google font Candal and one of my favorites Lato. On the frontpage, you will be able to set up a full-width slideshow with a unique text overlay as well as display timelines of both your educational and professional highlights. Whether you’re a creative professional or seeking a job in any traditional professional position, Persuasive Portfolio could be the perfect fit. 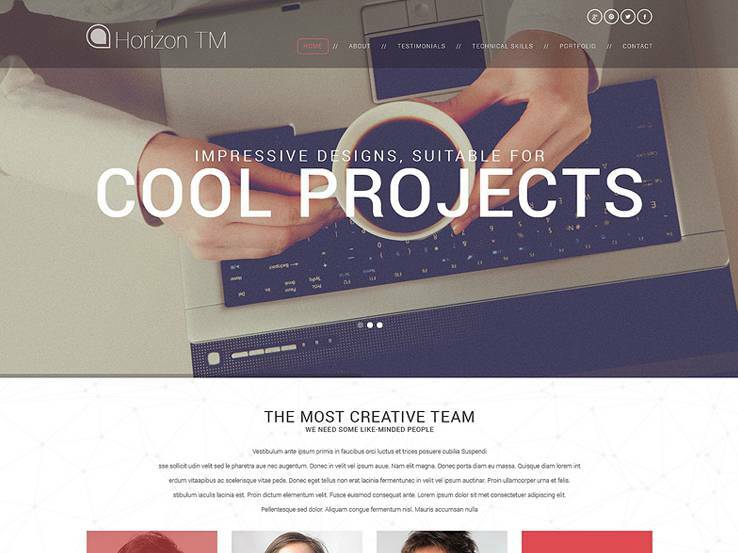 No roundup of resume WordPress themes would be complete without the HighClass theme from Template Monster. Set your resume off with a fullscreen-width banner image and front-and-center display of your social media contact options. Add a headshot and you’ve got a beautiful website layout ready for production. Like many of the resume and CV-style themes from Template Monster, you’ll find you have a range of tools at your disposal to display your work and educational milestones, as well as a unique multi-column CV layout that is displayed just below the fold so it’s the first thing you see when you begin to scroll. The Web Design CV theme has a wide range of features for compiling your resume and presenting it in a professional format for potential employers. It’s completely responsive which means potential employers can view your past work on phones or tablets. This is a nice touch, considering most people are using their mobile devices to browse the internet. 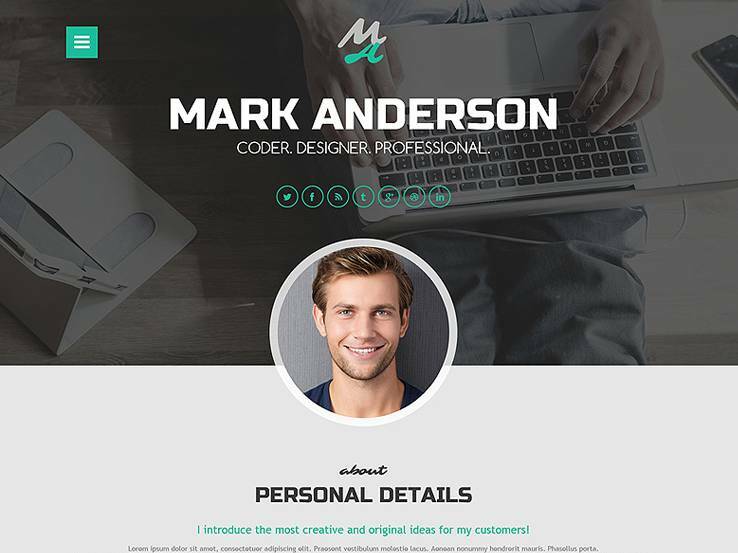 The header area allows you to include a short bio and it includes a nice parallax effect for grabbing the attention and adding visual appeal. This resume theme has the tools to feature a whole team of people, so you can even use it if you’re a small business owner with several employees. 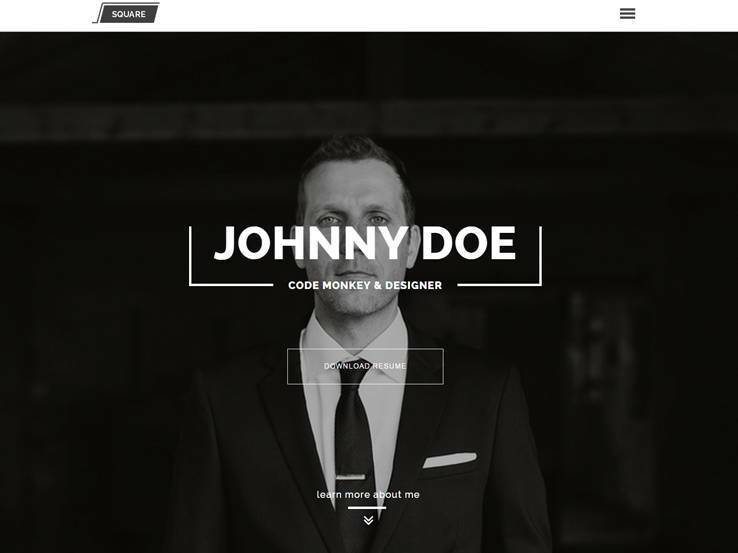 The portfolio is one of the sleekest parts of the Web Design CV theme, considering it is setup in a grid-based format, with minimal space between the photos for a modern look. People can click on the work examples to view more information, while also filtering through the content to find the most relevant examples for the work you’re applying for. Use graphs and charts to highlight your skills and display how much experience your have in different fields. The resume section has large text for showing your work experience, along with dates, companies, and job descriptions. Overall, if you’re looking for a modern, and fun resume theme, the Web Design CV is one to keep your eye on. 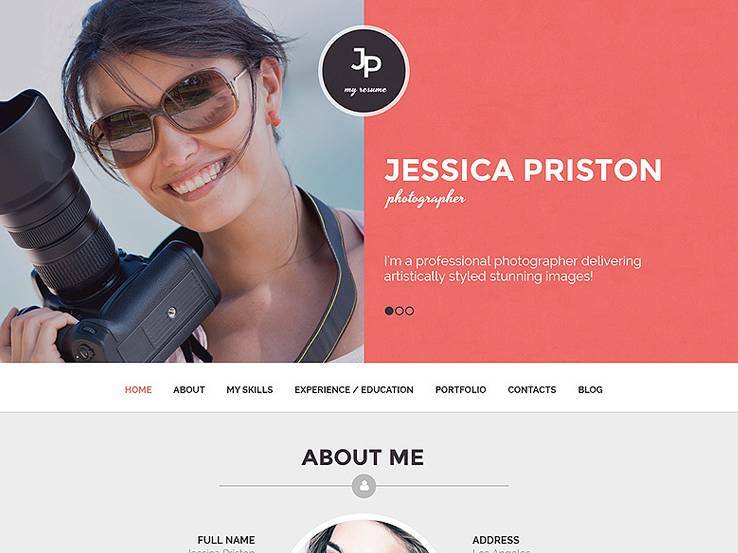 The Photographer CV WordPress theme is just that, a template for photographers who want to share their resume online. The responsive and multilingual theme is great for reaching out to employers, regardless of what language they speak or device they use. 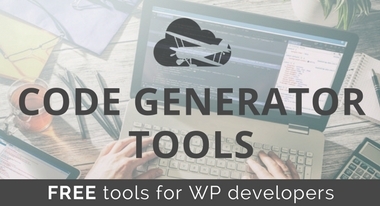 The theme comes with over 60 shortcodes for adding buttons, columns, and other items and it has a filterable portfolio for highlighting the best work you’ve done in the past. Photographer CV provides a one-click install, which speeds up the setup process, and it has custom widgets that allow you to add social sharing and comments. 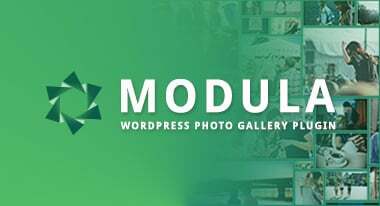 The header module has a slider for featuring your images, and you can upload your logo to sit right in the middle of your website. 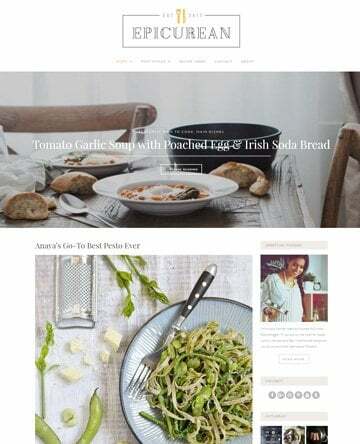 This is a one-page WordPress theme, meaning that most of your content sits on the homepage and visitors can click on the menu buttons to scroll down to relevant content. Display your work experience and use the calendar to showcase the dates of your previous employment. Your education is a huge part of any resume so the Photographer CV theme offers a section for showing your college and classes you took. Include social media buttons towards the bottom of your homepage and use the contact form so potential clients or employers can get in touch with you. If you’re stuck on which resume theme to choose for your website, check out the Photographer CV demo, because it’s worth the price tag. The Online CV WordPress theme is a nice theme with parallax scrolling and a responsive design. The parallax backgrounds are great for grabbing the attention, and you can change the images in them to make them better reflect your brand. The background video is one of our favorite elements, since you can basically create an area to present yourself to potential employers. Showcase your past projects with ease and consider including a video to explain your creative process. Font icons are included with the Online CV WordPress theme and they make it much easier to improve the visual outlook of your website. Google Fonts also come with the theme which are nice for customizing the typography. The theme also includes auto updates from the developer and a sleek contact form, which has all the fields and tools you need to stay in touch with your potential employers. Making a CV or resume is not always the easiest part of applying for new jobs but this theme allows you manage multiple versions of your resume. Online chat is also available, just in case someone lands on your site and wants to immediately talk with you. If you’re not an advanced designer, the shortcodes are going to be your best friend, considering you can add items like buttons and columns, all without having to touch a single line of code. 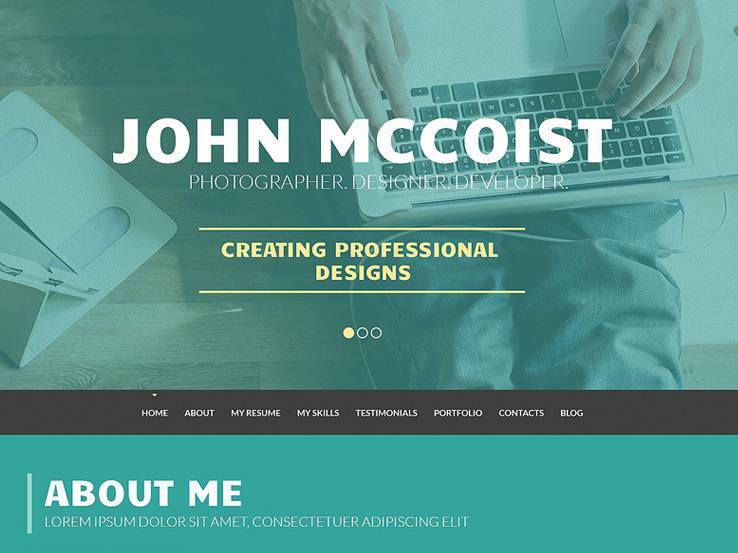 A portfolio is also provided with the Online CV theme, which is wonderful for showing off your visual projects. Testimonials are easy to create with the theme and the blog is a beautiful tool for showing off your industry knowledge and boosting your search engine rankings. 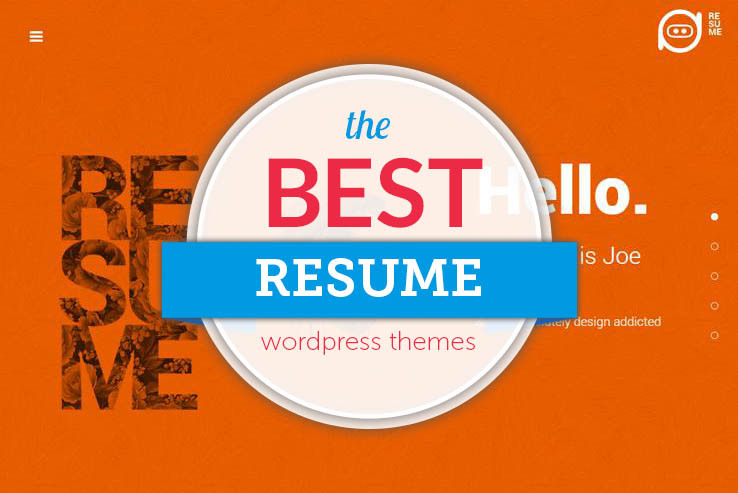 If you’re looking for exposure with your online resume, the Online CV WordPress theme is a helpful tool. 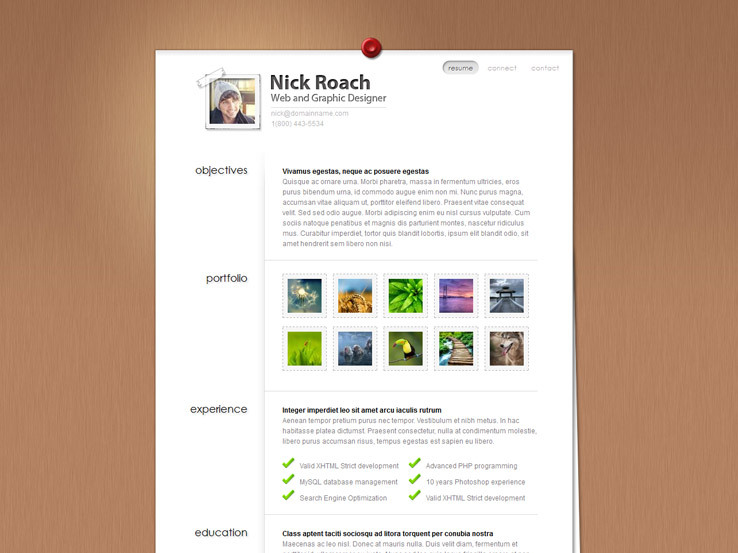 Check out the Cascade WordPress theme to develop a personal vCard for your own resume. In short, the theme has a rather simple homepage with large blocks to link to sections such as your portfolio, resume, and contact form. It’s all powered by jQuery, so the site runs fast, and the elements popup quickly when employers are scrolling through your content. A Dark and light version of the theme are included and an unlimited number of tabs allow you to add as much content as needed. You can even customize the tab colors and fonts if you’d like. The custom tab backgrounds are interesting, because they allow you to brand your site and change images or icons that you feel represent the types of skills that you want to highlight on your resume. The page backgrounds are easy to manipulate and Google Maps shortcode ensures that employers know where you are located. A portfolio is included with the Cascade WordPress theme, meaning that you can highlight some of your past projects with ease and explain the roles you took at your past companies. The portfolio area has lightbox images which allow site visitors to see full images instead of just thumbnails. Keep in mind that this is a completely responsive theme, meaning that even visitors on mobile devices can see your content perfectly. All of your contact information sits at the top of the homepage and a download button is provided so employers can print out or save a file of your vCard and resume. A blog allows you to share your industry expertise and social media buttons are included to allow anyone to connect with you on various social media channels. Along with a beautiful resume design module and various other elements, the Cascade WordPress theme is worth testing out if you want something simple and modern. MyResume comes from the folks over at Elegant Themes so you can be sure you’ll get a sleek theme to showcase your education and experience. 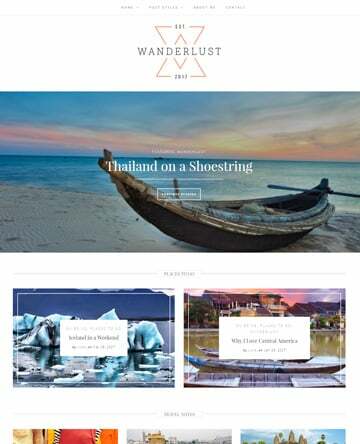 The theme comes with 5 unique color schemes which are a great starting point for your branding strategy and the homepage presents visitors with a clearly visible education and experience section. Interested employers can also check out your social media accounts and get in touch with you there. A contact section ensures they can easily get in touch with you to schedule an interview with you. The theme also offers the possibility of adding new tabs and sections should you need more than what is provided and shortcodes make it easy to add buttons, toggles, accordions, and more to any of your pages. Use the intuitive theme options panel to change colors, fonts, adjust sidebars, and more without touching a single line of code. Along with complete localization, ongoing support, and a gallery layout, the MyResume theme is definitely worth checking out. The Squareroot WordPress theme has an incredible layout for people interested in building a beautiful resume without much work involved on the backend. 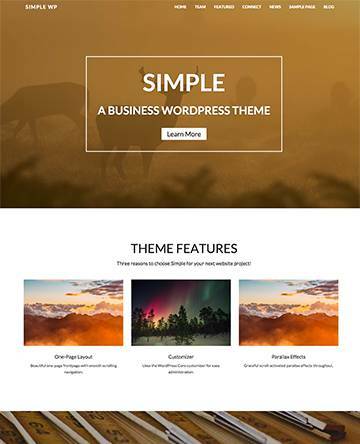 This is a theme with professionalism built right in, using darker colors, bold fonts, and a beautiful header with support for high-resolution images. 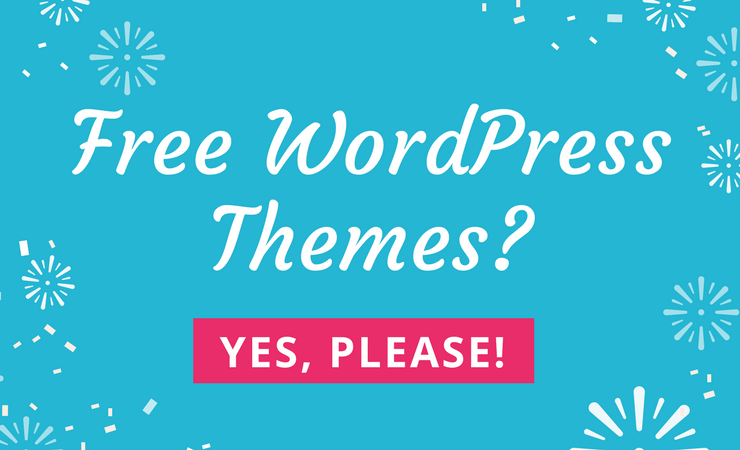 The theme is a one-page theme which means all of the focus remains on the content. 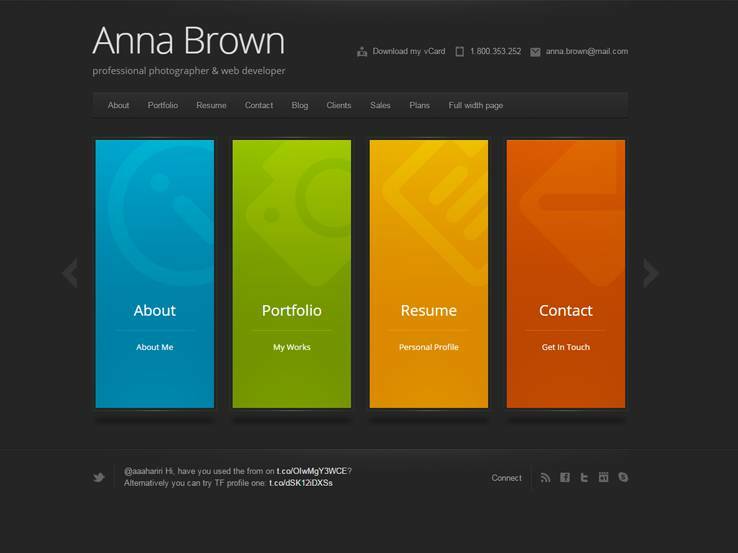 The theme also includes parallax features for grabbing the attention of potential employers. The pixel-perfect display is mobile-ready so you resume will look great even on mobile devices. Not to mention the shortcodes which allow you to add various elements such as buttons and columns without having to know how to code. The translation-ready files allow you to translate your website. The SEO support is rather powerful, but our favorite part is the Visual Composer which is a drag-and-drop page builder and it allows you to create any type of layout even without coding experience. Have your name and title in the header and don’t forget to include a photo of yourself. The resume button also resides on the header, which allows potential employers to easily download your resume. Cover information like your birthday, work history, and contact information. Overall, the Squareroot theme is a viable option for anyone interested in a more professional resume or CV. Profession packs quite a punch under the hood, with four different layouts for your resume. You can choose between a horizontal and a vertical layout or a full-screen background one. 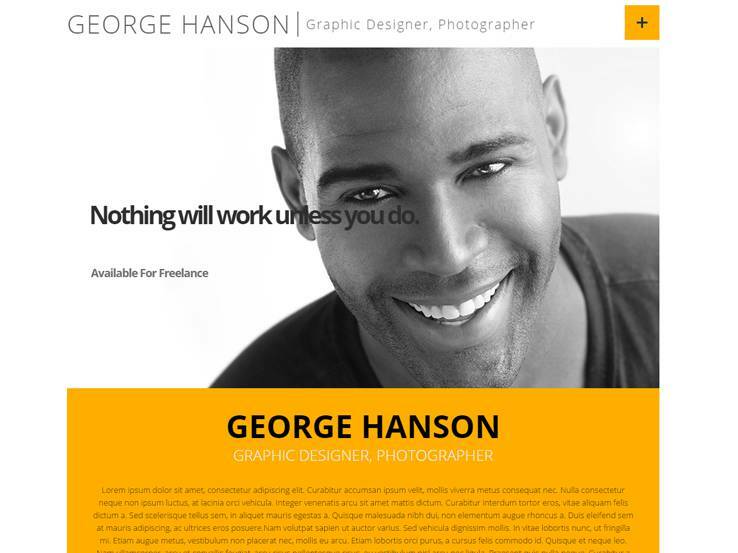 Each layout starts off with a large headshot followed by your portfolio. As such, the theme would be perfect for any creative professional. You can also feature your skills with beautifully animated counters and show your education and work experience directly below. A menu pops up once a visitor clicks on the large plus sign in the header, allowing your resume to occupy the majority of the space on the homepage. A blog is also included so you can share your knowledge about your particular field and improve your search engine rank. The theme can be customized on the backend where you can easily change colors, fonts, and more. Responsive design is crucial for a resume website so employers can take a look at it on phones or tablets without any issues. On top of that, you can translate your resume in case you are interested in working for an international company or looking for employment outside your country. 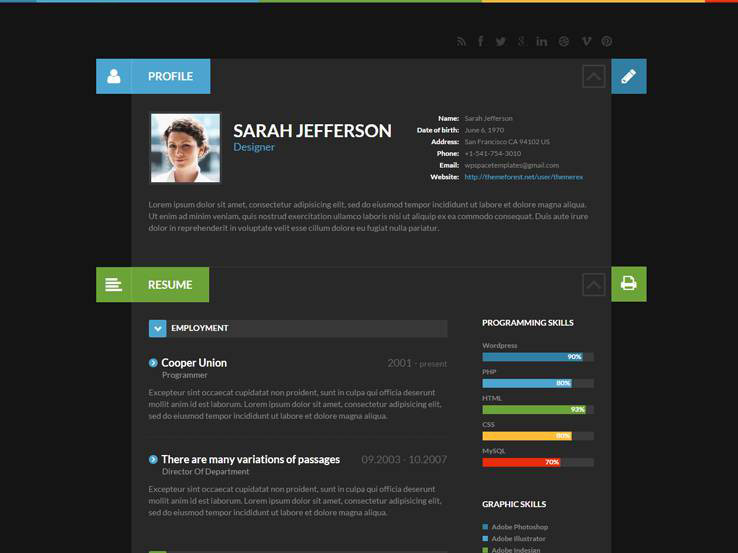 ShiftCV has an elegant dark background with pops of color that highlight different sections of your resume. Your headshot and contact information is clearly visible at the top and then the homepage leads into your work experience, education, skills, and contact information. A standout feature is the testimonials section which serves as the traditional references section found in paper resumes. There is also a print button and a download button which makes it possible for HR recruiters to download and print your resume for easy access during the hiring process. A blog page is also included and the responsive design ensures your resume displays beautifully on just about any device. A QR code can be displayed in your contact section while 21 layered PSD files allow for more powerful customization if you’re experienced developer. The theme includes localization files so you can easily translate your resume and offer it in any language you want. Along with ongoing support and extensive documentation, the ShiftCV is a rather powerful theme to consider for your resume. 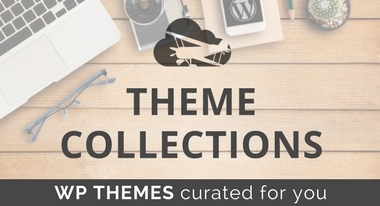 This really amazing W.P themes and thanks to you for sharing this kind information with us. 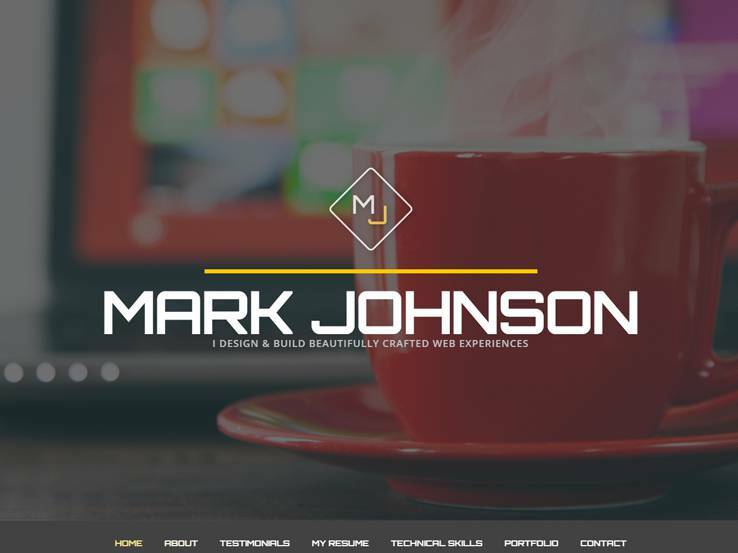 My most favorite theme RESUME, this theme is perfect for my own website. Resume is a very vivid and impressive theme for creating an attractive CV for yourself. Glad you discovered it. Thanks for the suggesting Divergent to our readers! Hi Alex,\n Thanks for suggesting Gridus to our readers. I really like the simplistic and clean look of this theme.